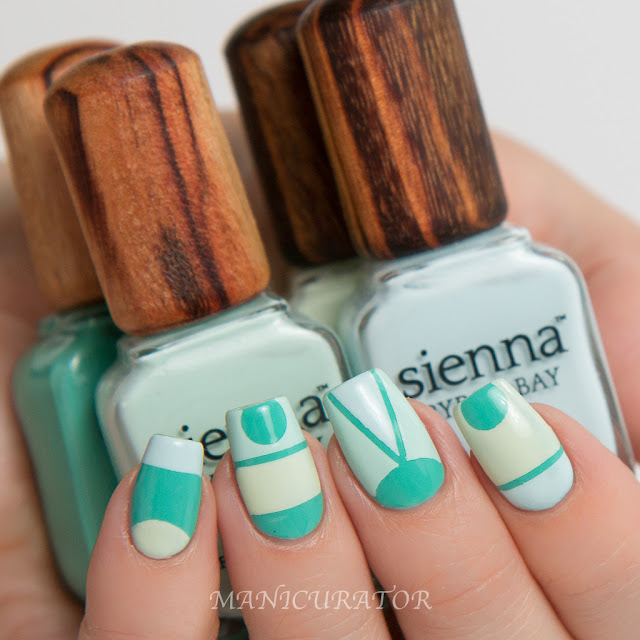 The base shade for this manicure is sienna BYRON BAY Breeze. Once that was dry I used Whats Up Nails Circle Tape and Skinny Straight Tape and added Atlantic, Utopia and Wategos. I love how the circle at the tip of the nails looks, I kind of wish I had done that for each nail! 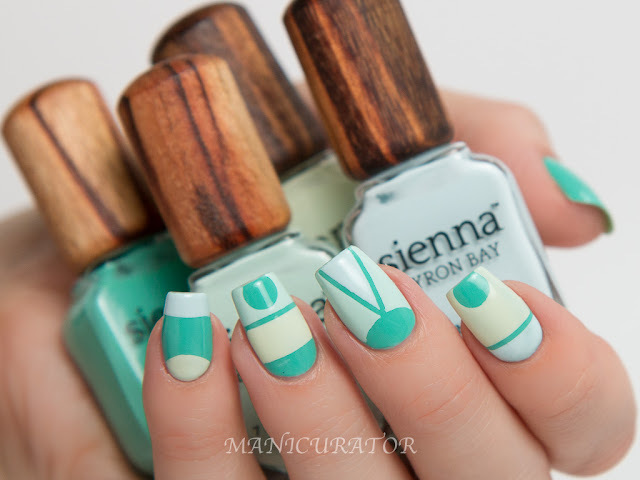 These shades were not difficult to work with for this nail art, and covered opaquely in 2 thickish coats. Check out my previous post for a full review of each shade.